Sunday, 17 March 2019, 2:38p.m. 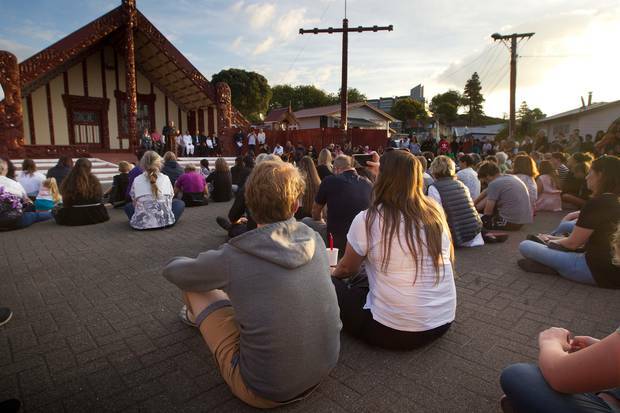 Vigils are being held in Whangārei, Auckland, Wellington, Hastings, Dunedin, Nelson, Oamaru and Christchurch. See a comprehensive list below. • A prayer service will be held at Sacred Heart Church, 16 Vermont St, Ponsonby at 4.30pm to which members of the Ponsonby Mosque across the road have been invited. Afterwards there will be a procession across the street to the mosque to lay flowers. • The Northland Indian Association is holding a candle-lit vigil at Whangārei's Laurie Hall Park on Sunday, March 17 at 6pm. The association is encouraging mourners to bring candles and flowers. • A candlelight vigil and service will be held at Toko Toru Tapu Church in Manutuke, near Gisborne, from 6pm tonight. The service will be led by Archbishop Don Tamihere. • St Chad's Church in Kumeu is holding a prayer and worship evening with the combined Christian churches of Kumeu, from 7.30pm this evening. • A Wellington Vigil will be held tonight at 6pm at The Basin Reserve. Mayor Justin Lester said, "We will be showing Wellington's support for the victims and their families, our Muslim community and all citizens of Christchurch". • Hastings Mayor Sandra Hazlehurst has organised a Civic Service at 1pm on Monday, March 18, at the Hastings city town clock, beside the fountain. • A community gathering will be held in Masterton's Town Square, at 6pm on Monday. • Amnesty at Vic is holding a vigil in Wellington's Civic Square on Thursday, March 21, from 7pm. The event page says to bring candles and come in peace. • Another vigil is planned at Aotea Square in Auckland on Friday, March 22, held by Migrants Against Racism and Xenophobia. It will begin at 6pm. • A vigil will be held in Kāpiti on Friday, March 22, at Zeal and the surrounding car park from 7pm. Attendees are to wear white to symbolise peace and bring flowers. • Love Aotearoa Hate Racism will hold a stand against all forms of racism and Islamophobia on Sunday, March 24, at 2pm in Aotea Square. • Nelson's Race Unity Day will be held today in Victory Square from 11am-4pm. Following this, the Nelson Whakatu Muslim Association welcomes all to walk to the Queen's Garden where they will hold a Janazah (funeral) prayer in the open air. • St Patrick's Basilica in Oamaru will be open at 2pm today, when Father Wayne Healey will say a few words. • Grace Vineyard Chruch in Christchurch is having a combined worship and prayer night and invites churches from across Christchurch to join them. The service will run from 6pm tonight. 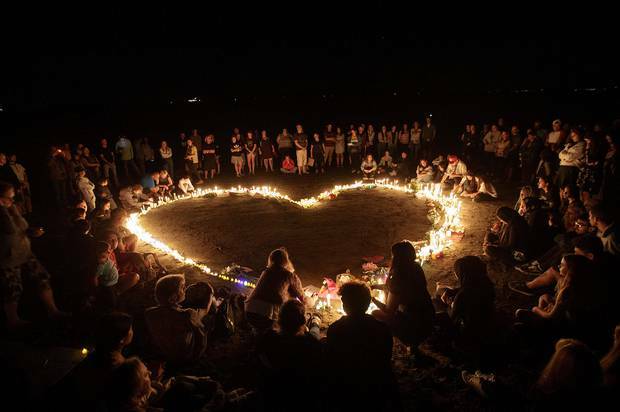 • A second Dunedin vigil will be held on Thursday at 7pm in the Octagon, following Saturday night's candlelight vigil. It was being organised by the Amnesty Otago Students Society with support from other groups including Dunedin's Al Huda Mosque. • Remember Those Who Lost Their Lives 15-3-19 vigil will be held in Cathedral Square in Christchurch on Thursday at 8.30pm.